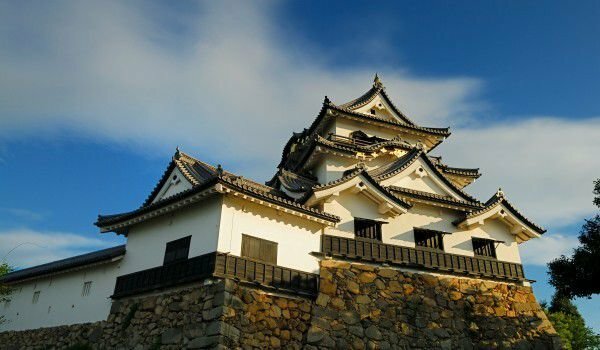 Hikone Castle is a historical Japanese castle, which impresses with its well preserved architecture. Hikone Castle is located near the city of Kyoto, located in the Shiga Prefecture. Hikone is the so-called palace from the Edo period and is celebrated as one of the most authentic and well preserved throughout the country. Aka Hikonejo, Hikone castle was completed in 1622 after 20 years of construction. The palace, located on the hill, is used as the headquarters of the local feudal lord called Ii Daimyo. This continues until the end of the feudal era in 1868. Castle Hikone is a completely authentic and original castle. It managed to resist the post-feudal period, it is not destroyed or restored at any time. Besides the main fortification of the castle, the main part of the inner moats, walls, guard houses and gates remain unchanged. Later in time parts of Hikone are restored, but it retains all its authentic form of a Japanese feudal castle. Hikone castle architecturally is a three storey fortress, which is not impressive in size, but in contrast, is invaluable in terms of style, combining motifs from several architectural styles in an unique way. 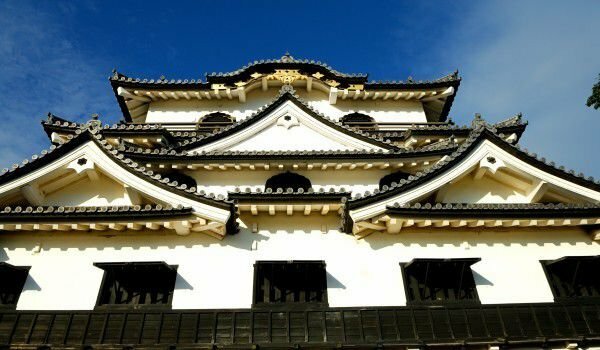 That is one of the main reasons Hikone is celebrated as a national treasure (so named in 1952) and has the status of historical monument of the highest rank, which have only palaces like Himedzhi, Mattsumoto and Inuyama. Excellent view of the entire palace complex and the city was opened to visitors once they climb the great staircase on the outside of the fort. The castle is reached by a wooden bridge that in the past could be destroyed in case of enemy threat. Hikone has several towers, which are open to visit, and a high tower, which today beats several times a day to disclose a certain time. The gateway to Hikone has a large pavilion and stores cord for tethering horses. The museum of the palace is very interesting, especially with the original restored historic buildings of the complex from 1980. In the exhibition halls can be seen family treasures of the rulers of Hikone, including weapons, armor, kimonos, musical instruments and historical documents. Like most Japanese castles, castle Hikone fascinates visitors with its beautiful cherry orchard. Here the colors of the trees usually bloom a week later than those in Kyoto, about the beginning and middle of April. The outside of Hikone is the place of the Genkyuen Garden.